Yesterday, when I played, after the countdown ended, I got no sounds. As in none at all. After playing around with the settings I've gotten them back up and running. Hoping it helps. If it does, please report back. @WG, this might be a starting point to find out from where this issue hails. Edited by WindSplitter1, 26 December 2018 - 10:12 PM. 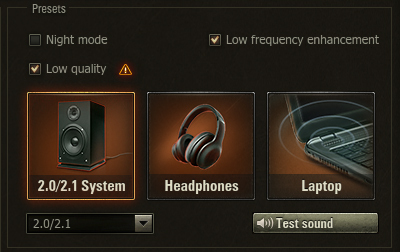 It honestly seems like we've had audio issues ever since they changed the sound engine.